We are catering to the requirements of pipe line works as per the customer demand.. Also, we are into manufacturing and exporting Hydro Pressure Testing Machine also doing the service for hydro test. This Hydro Pressure Testing Machine has rugged design. We have carved a niche amongst the most dominant names in this domain, engaged in manufacturing and exporting Gas Manifold System. Offered Gas Manifold System has excellent shear strength. 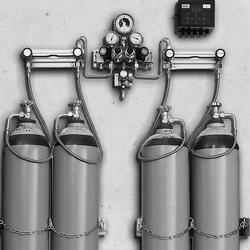 Relying on our expertise in this domain, we are into offering Gas Manifold System.